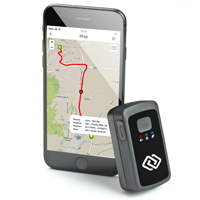 Personal GPS devices are ubiquitous these days, most of us will have a GPS capable smartphone or satnav for navigation but there is an entire other market for GPS, tracking. Whether it's to monitor your vehicle, company employees, a pet or child, a GPS tracker may be the solution you're looking for and the Spytrack Nano from Rewire Security is one of these devices. Looking not unlike the Bluetooth GPS Receivers of old, the Spytrack Nano weighs just 68g and is little larger than a box of matches. Packed inside are a GPS receiver, a rechargeable battery, a GSM Transmitter and a SIM card. And all this costs a very reasonable £69.99. Locator such as a a tk102 that requires no subscription. Devices like this that require an ongoing subscription I avoid as well. can you use your own SIM card ? Thanks for the very timely review. I'm hoping that this will help to alleviate an ongoing worry. I've ordered a similar, but much smaller device from PingGPS. This one looks pretty bulky to me?